The Mycarematters Bedside Holder is a high quality clear acrylic A4 document holder which is held in place by the mattress, and can be positioned anywhere appropriate on the bedside for quick and easy reference. Replace the printout in a matter of seconds and quickly move or remove the Holder from the bed whenever necessary. 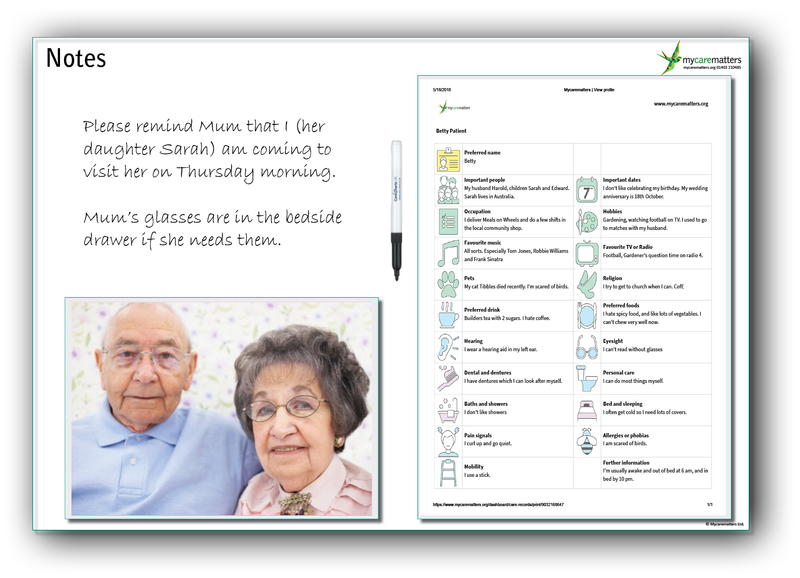 Special Offer for care homes: These Bedside Holders currently include free use of the online service for six months. Simply place your order below and we’ll send you a coupon to reduce your Mycarematters subscription to £0. For use with a Mycarematters printout. See further information for hospitals, care homes and individuals. Once you’ve created a Mycarematters* profile for someone in your care, you need to make it available to all those interacting with them. 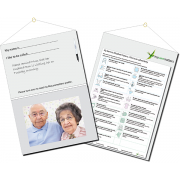 The quickest and most reliable way to do that is to display a printout in a convenient position; we have a number of options to help. 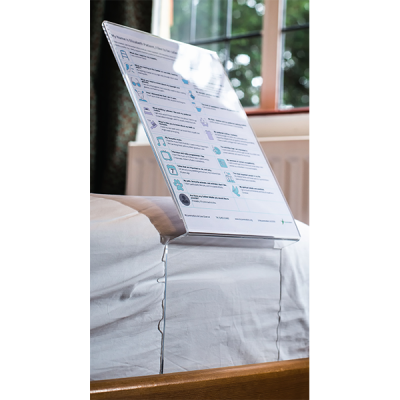 The Mycarematters Bedside Holder is made from high quality clear acrylic which is held in place by the mattress, and can be positioned anywhere on the bedside for quick and easy reference. Replace the printout in a matter of seconds. Designed for use with mattresses up to 22 cms thick. *Create a free Mycarematters profile here. Further information for care homes here.